Big Give Christmas Challenge – we did it! 70% of the people we support use a range of non-verbal communication. Imagine you spend the day with someone, and they make all your choices for you, they decide where you go, what you do, what you wear and what you eat, and you can’t explain your wishes or choices in a way that they understand. You would be so frustrated and feel very isolated. 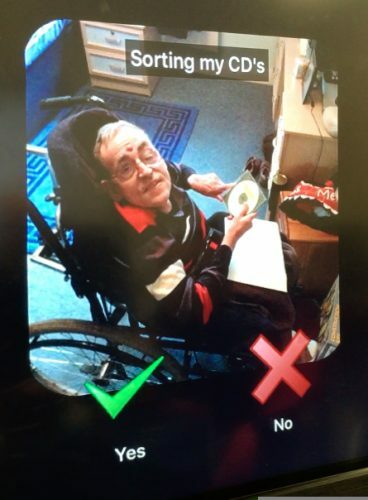 Technology as readily available as an iPad, together with a really great communications app like MyChoicePad is opening up the world for people with learning disabilities. The app uses 4000 Makaton (universal sign language) signs and pictures to enable people to clearly express their feelings and make choices. It can be personalised using photos and video. We’ve trialled at three of our services with remarkable results. Users have quickly got to grips with the app and are visibly happier, more engaged, calmer and having meaningful two-way conversations with the people closest to them. To be able to communicate is a fundamental need. New technology is making a huge difference to the lives of people with learning disabilities, giving them more choice and control than ever before. We have one week to raise £10,000 and the Big Give will double it. Bex is 28 years old and previously had lived with her mum and dad. When she moved to Malvern two years ago it was quite an upheaval for her, but she settled in really well. She communicates mainly through finger gestures and facial expressions with the odd word. She also likes to sing to communicate too, and often ends up dancing and laughing. When we introduced her to the CleverTouch screen, Bex had never engaged with anything like it before. She loved using it for drawing and being creative, using the tactile pen and playing music. 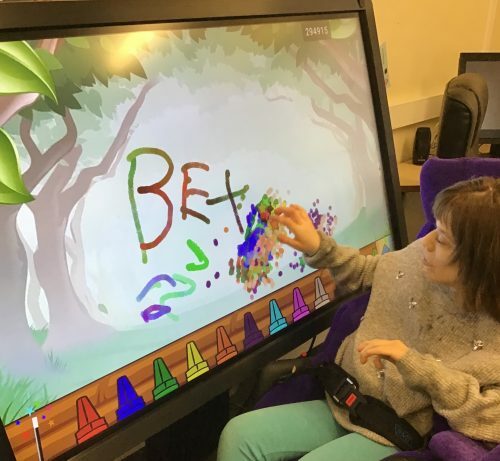 Her increasing confidence with CleverTouch enabled her to graduate to an iPad, on which she’s been using the MyChoicePad communications app, MyChoicePad. One day, we showed Bex a photo of her mum and asked her who it was. She was able to press the button for ‘mum’ and when the app voice spoke the word, Bex was absolutely beaming as this was the first time she could express what she wanted to say using spoken words. The freedom the technology enables has worked wonders, she uses the iPad to Skype her family, it’s so much easier for her to communicate with them, she doesn’t need to wait for their visits, she can contact them whenever she wants to. 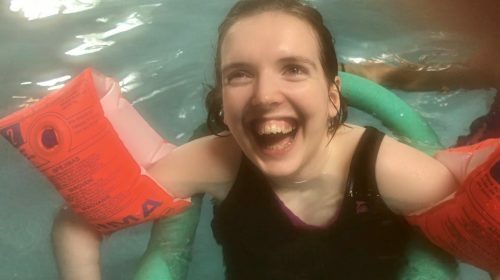 “It has been great for me to learn more Makaton and see how pleased they are to have quality communication with me, rather than me guessing at what they are signing which is incredibly frustrating for both of us. Sharon has taken great pleasure in showing me the signs and correcting me when her version of the sign is slightly different. Our Big Give appeal this year is to fund iPads and a communications app to help the people we support to have a voice and be understood. By supporting our Big Give Christmas Challenge appeal you could help to give people with learning disabilities the chance to be understood and to have meaningful conversations.